Here's an image that is being spread along social media. There are many like it, and this one is perfectly representational of the genre. There are so many things I could stay in response, as all of these so-called problems are shallow nonsense, but one stands out above the others. There is no food crisis in America. We have an abundance of cheap, healthy food, and that's because of forces like technology, international trade and capitalism. It is not because of agricultural subsidies, drum circles or the natural gifts of Mother Earth. It is because of human innovation and cooperation. 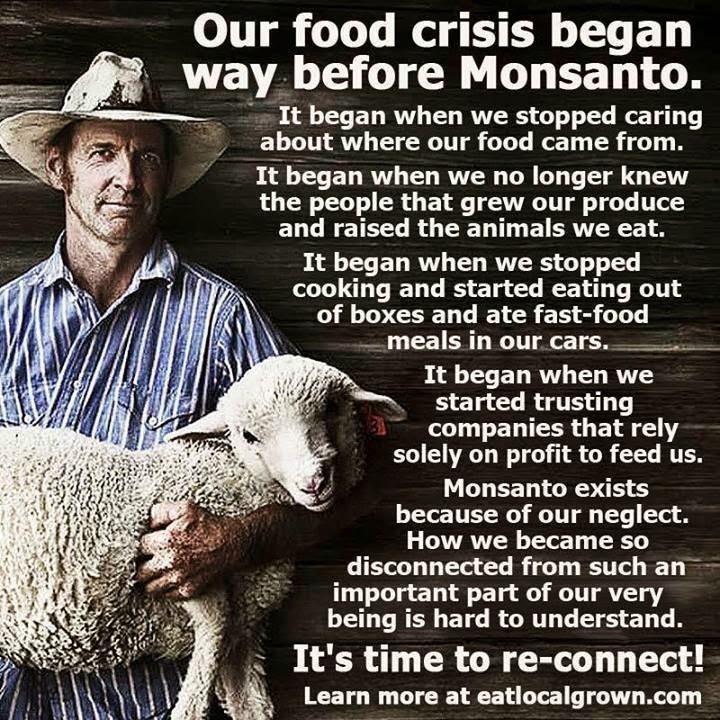 Thank globalization, not food activists. There is no lack of safe, nutritious and affordable food. Some people choose to eat unhealthy alternatives, but that's out of preference and no necessity. Having to depend on local food is a recipe for mass starvation and poverty, and the people who want to return to those primitive days are coming from a place of ignorance. We have all the good food we need. There is no food crisis here.